History doesn’t repeat itself, but it often rhymes. The market goes up, then down, then back up again, with the financial media marking every step of the way. So, how do we know when to invest when the headlines make it seem there is always a reason not to? Emotions take over the logical, rational sides of our brains and convince us that something devastating is just around the corner. We just KNOW that the market is too high right now, just like we KNEW that if was elected President, the market would tank, right? These are the most common examples of market concerns clients have voiced in the past year, but they rhyme very closely with what I have heard throughout my career, and what has recurred throughout the history of the stock market. I started in this business immediately after receiving my finance degree in May 2007. You might recall that timeframe as being pretty much the “peak” of the market before the Great Recession. While it wasn’t exactly the top, at that point we were within a few percentage points of the peak in October 2007. For over a year, I saw account values plummet as the nation endured one of the biggest market crashes in history. I would field client calls, and they would ask me when it would end or was the worst over yet. Should they sell everything and go to cash? Given that for my whole career the market had pretty much gone down, I couldn’t tell them that I had lived through this before (at least professionally), so I was limited to relying on historical data - what have we seen in prior economic recessions and market downturns? A few key points framed most of my conversations at the time, and they hold true through any market cycle. We can’t time the top of the market or know if a falling market will keep dropping. If you think the market is going to fall, or continue a current downward trend, and you choose to sell out of your positions, then naturally you need that drop to come true if you’re going to benefit from your decision. However, it is extremely difficult to correctly pick the top of the market before a big drop. In the wake of the great recession, many market prognosticators pointed back to their claims it would fall (with a convenient link to subscribe to their newsletter, because they’re so smart and don’t have to answer to a compliance department). But they seem to forget the times they were wrong when those who followed their dire predictions missed out on the massive market upside. If you’re constantly saying we’re due for a crash, you’ll be right eventually, and it’s hard to sell subscriptions if your headlines don’t strike fear in your readership. Or maybe you heard stories from friends or coworkers who saw the writing on the wall and moved to cash just in time. However, if you’re chatting in the lunchroom or around the water cooler, the big losing trades don’t seem to come up. Picking a re-entry point is just as difficult. Let’s say you sold out anyways, and you did win that first coin flip. So the market is lower than it was when you sold it. But when do you get back in? Will it keep going down, or is that it? You’re faced with another timing coin flip. For most investors, they don’t want to get back in until they “feel better about the market”...usually after there’s some positive news or data, and by that time they’ve missed buying back at the bottom, and the upswing is already well underway. Listening to anecdotal evidence and watching the news doesn’t lead to great portfolio management decisions. There is always something in the news that can scare you off of making a prudent investment decision. After we survived the Great Recession, investors couldn’t get away from headlines spouting the pending doom of a theoretical Double Dip Recession - that never arrived. The flash crash stoked fears of speed-traders and technology. There was the Greek (and other European) Debt crisis, or the US Fiscal Cliff / debt ceiling debate. UK voters sent shockwaves through the market when they voted to leave the EU, known as Brexit. As Trump’s Presidential Election victory was realized, markets plummeted overnight. Some of these events were short-lived, and some slightly longer. They affected the market to varying degrees as well. Brexit had a sharp impact on the US markets, but it only took about a week to recover lost market value. The Fiscal Cliff resulted in double-digit losses initially, and after a lot of volatility, the value was recovered in just over 6 months. Looking back a bit further, even before my time in the business, it seems like there is ALWAYS some reason out there to not invest. Scary events over the years must have given even the most seasoned investors pause when deciding if they should be participating in the market in a given time. It may be political (wars, scandals, and government actions), economic (recessions, interest rates), or technical (Y2K, flash crash) but there’s always something. Through it all, a well-diversified buy-and-hold investor would have watched their money grow, in spite of the many distractions. Sure, that looks great in the long run, but what about those dips and crashes along the way? Is there anything we can do to make those down periods a little easier to stomach? If riding out the extreme highs and lows of the market doesn’t sit well with you, you may be better off with a more balanced or moderate investment approach that incorporates historically safer and diversified asset classes into your portfolio. If you have different financial goals, it is important to match up your time horizons. Maybe you are comfortable with more aggressive investments for the retirement funds, but your house down payment fund should be invested more conservatively. If you are living off of your portfolio, the key is having enough assets in cash and in short-term safer investments (bonds, etc) to wait through those down periods. If you are in the accumulation phase of your financial life, these market events can be seen as great buying opportunities. It is critical to work with a financial advisor who can help you understand your risk tolerance and work within your comfort zone to find the best approach. They can also help you figure out the best time to invest. Since we can’t predict the future, or go back and cherry pick stocks in the past, that means the best time to invest is now. No investment strategy can guarantee a return. Loss of principal is possible. 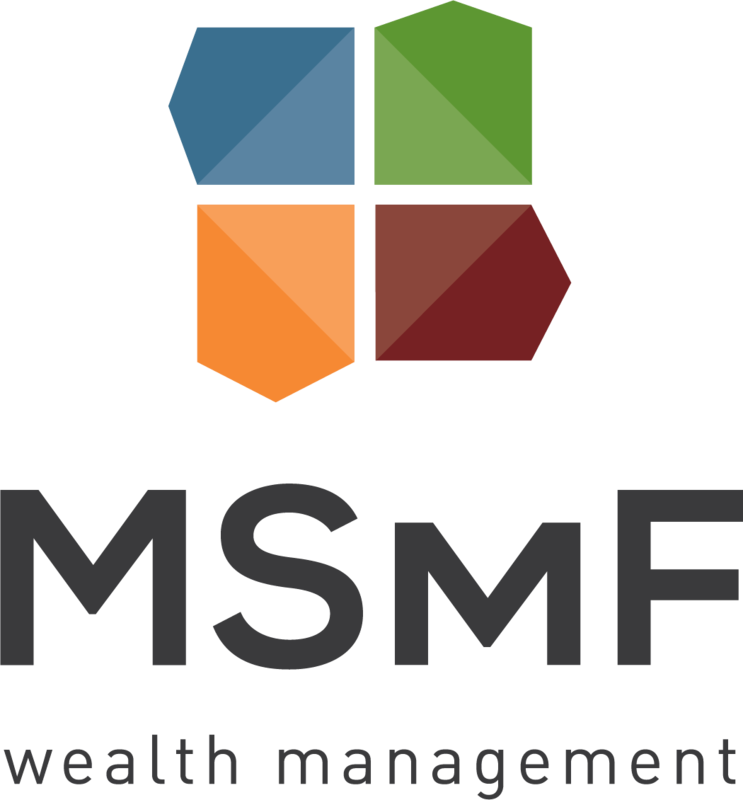 Nick Mengel is a Certified Financial Planner™ practitioner and provides financial planning and investment analysis for MSMF’s partners and clients, as well as for his own personal clients. He has a Masters in Finance from Washington University – St. Louis and more than 10 years of industry experience. In his spare time, Nick enjoys outdoor activities, sporting events, and motorcycle riding.